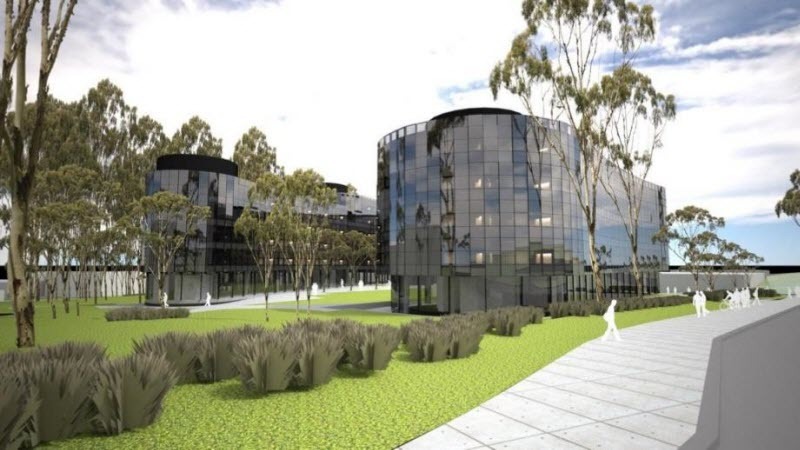 These are just some of the reasons why Andrew Jessup, ACT Branch Manager at Programmed Electrical Technologies (PET), decided to partner with OSA when installing the high-performing, future-proof communications network for the Australian National University’s (ANU) new Student Accommodation 5 (SA5) building. “There are basically two main companies in the ACT that have the capability to supply us with the materials we needed to deliver a fully compliant Molex Cat6 network,” says Andrew, “but OSA was the obvious choice for us. As the original undergraduate residence built at the ANU, Bruce Hall is an integral part of Australian National University’s campus life and its history, but after 55 years of service it was time for it to be demolished and rebuilt. 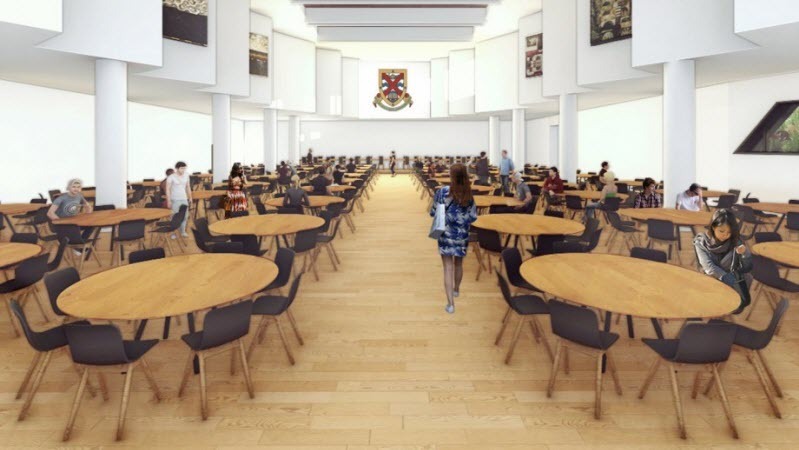 This meant there were over 500 domestic and international students who needed to be temporarily rehoused in a new building that would also be opened up to the wider student community once the new Bruce Hall was completed. 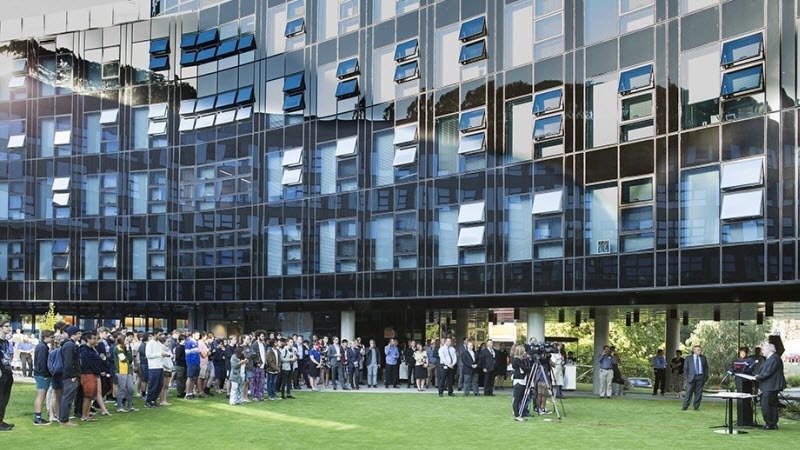 whilst also delivering a future-proof, state-of-the-art communications network with superior connectivity, catering to both the current and future needs of an increasingly multicultural student population. 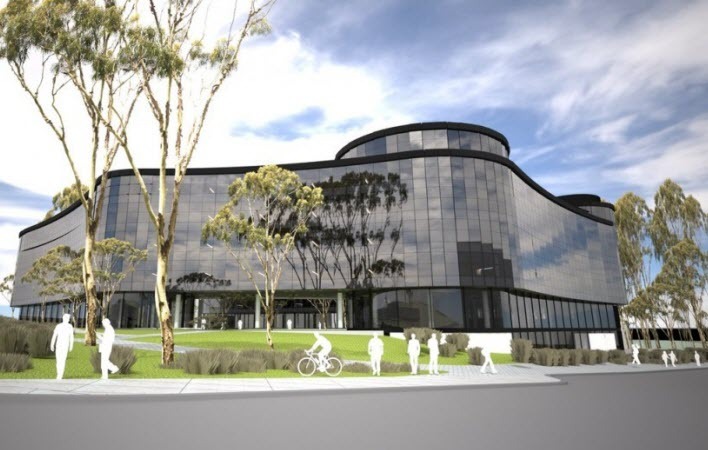 OSA worked in partnership with PET to install the communication services to all 500 high-quality single rooms, as well as all associated breakout and administration areas in this $53 million building development. The unusual horseshoe shape of the SA5 building, which meant the lengths of copper cable needed to be extended close to their maximum length of 90 metres, was just the first of many challenges of this unique project. “The installation of the comms network occurred during an unseasonably wet winter, and we also had restricted vehicular access and other third-party trades working on-site at the same time to consider,” says Andrew. During the build, the ANU’s security contractor also discovered that the external security cameras sat beyond the transmission range of the Power over Ethernet (PoE) platform they operated on. “We were able to help overcome this limitation by working with OSA to design and implement an alternative powered fibre solution which enabled the external security cameras to function as required,” says Andrew. When it was then discovered that the building materials used to separate each room had created an inadvertent barrier to radio frequency signals, PET installed wireless access points in each room, with OSA once again supplying the necessary expertise and delivering the materials on time. 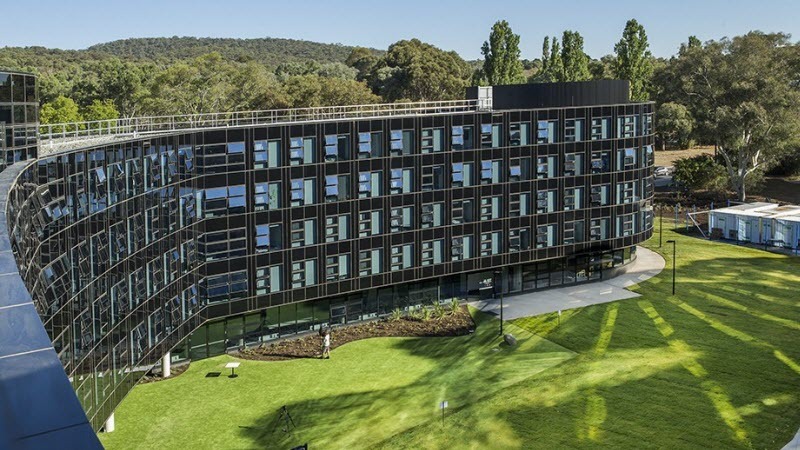 Despite all of these challenges, OSA’s level of service and delivery, as well as proactive and clear communication throughout the entire project, enabled PET to meet the rigid timelines for handover of this project, helping the ANU meet the ever-growing demand for on-campus housing on Australia’s leading educational campus. Meeting the strict timelines for such a big project also required communication and negotiation with OSA’s vendors, Molex and Argent. “OSA have fantastic relationships with their suppliers, and their excellent coordination on this job with Molex to supply the cable network and Argent to supply and fine-tune the cabinets was a large part of its success,” says Andrew. OSA not only met the requirements of our pricing, and then ordered, held and delivered stock in line with our timelines, but the team at OSA’s ACT branch also helped us liaise with our client, ANU and their suppliers, Molex and Argent. “Very few other suppliers, if any, have the same level of technical expertise as OSA, or ability to help us in this area,” says Andrew. “Evan, in particular, can answer just about any technical question, even it if does not directly relate to OSA. OSA also deliver the little extras that really make the difference. The entire team are a pleasure to work with and we know they’ll always deliver on every level. OSA’s relationships within their office are important too, with Justyn working behind the scenes to order stock and coordinate deliveries and timeframes and Greg as our go to man for all things racks. PET and OSA’s long-standing, ongoing and productive working partnership spans over a decade, and we intend to continue to partner with OSA on many more projects for the next decade ahead.